As cosmetic dermatology continues to evolve, we have more ways in which we may successfully address specific signs of aging. Patients of Dr. Blose have a variety of treatment options, all of which have been carefully chosen based on efficiency and safety. One of the latest developments in the area of dermal fillers is Juvéderm Voluma. This Hyaluronic acid dermal filler has been developed for the specific purpose of volume restoration. The facial changes that are being achieved with Juvéderm Voluma are outstanding, virtually taking years off of one's appearance. 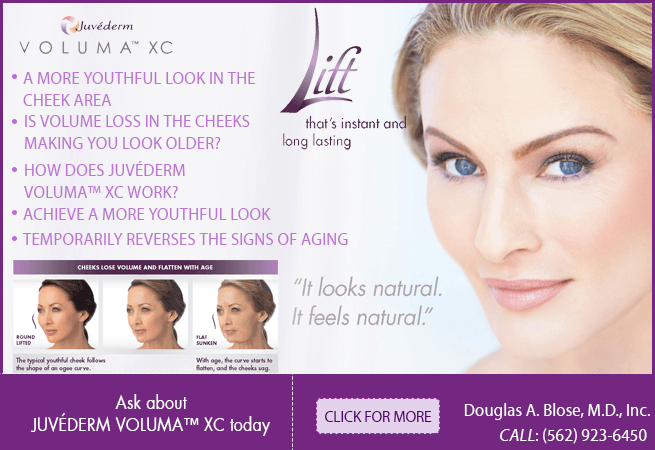 At this time, Juvéderm Voluma is the only filler of its kind, cleared by the FDA for the restoration of volume which is naturally lost in the cheek and cheekbone area with age. This filler may also be used to accentuate the chin. With Juvéderm Voluma, Dr. Blose helps patients lift sagging cheeks and jowls, add definition to the jawbone and chin, and generally look and feel years younger. Aside from instant rejuvenation, one of the primary benefits of treatment with this powerful filler is that results last up to 18 months. Dr. Blose begins patient care with a thorough consultation and discussion of the patient's wants and expectations. Gaining understanding about each patient's concerns and needs enables us to design the exact care plan tailored to his or her needs. Juvéderm Voluma has a thicker gel consistency that makes it ideal for injections into the deeper layers of skin in the cheeks or chin. Dr. Blose injects this filler in such a way to achieve a beautiful lift and definition, ultimately achieving the most harmonious relationship between all facial features. Through precision care, we meet our goal of creating subtle, beautiful changes that turn back the hands of time by several years. We understand that, though the results of treatment are much anticipated, there may be some stress associated with the idea of injections. Comfort can be better maintained through the application of a topical numbing cream before treatment. Juvéderm Voluma is also complemented by lidocaine as a part of the gel solution, further improving the treatment process. 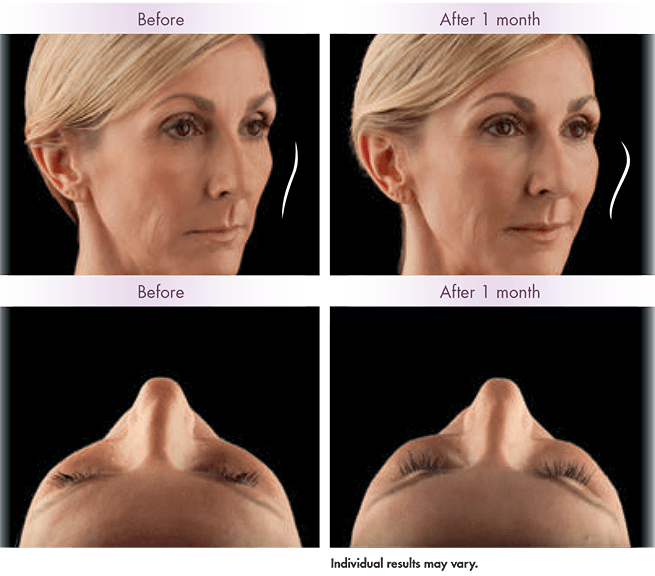 Facial improvement with Juvéderm Voluma is typically achieved in a short visit lasting only about 15 minutes. 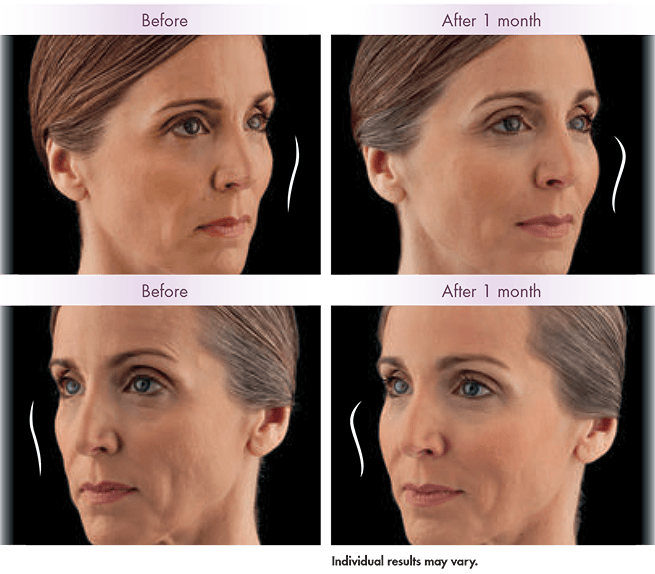 Like other dermal fillers, Juvéderm Voluma offers a minimally invasive method of reducing the signs of aging. This solution is so gentle that it may be administered in the same visit as other cosmetic solutions such as standard fillers or Botox. Side effects are typically very mild, including slight tenderness, swelling, or bruising. Most of our patients are able to get right back to their active life after treatment with Juvéderm Voluma in our Downey or Montebello office. We do suggest, however, that exercise be resumed the day following treatment. In clinical trials, side effects developed in only five percent of those treated with Juvéderm Voluma. Swelling and hematoma were side effects experienced by only 8 percent of patients. During clinical trials, there were no instances of migration of the Juvéderm Voluma product. There are several choices in products for facial rejuvenation today. Dr. Blose is an experienced dermatologist who has used dermal fillers thousands of times. Choosing Dr. Blose as your Juvéderm Voluma provider, you can feel confident knowing that your physician knows which products produce the best results in given areas and for specific concerns. Contact one of our conveniently located offices for your consultation.